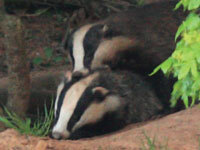 The day we had hoped would never arrive finally came at the end of August when the first of the two pilot badger culls began in Somerset, and just a week later in West Gloucestershire. Ignoring the science and huge opposition from the public – thousands took to the streets of London in June and over 330,000 people signed Dr Brian May’s petition before it closed in September – the government has pressed ahead with the needless slaughter of our wildlife. ADI has opposed both the pilot culls and plans for a nationwide cull, and has joined forces with Team Badger to support the campaign. Click here to find out how you can help. Click here to donate now and help us to help the animals. Validation and alternative methods of safety testing cosmetics were presented at an EU training and information exchange organised by the Joint Research Centre Institute for Health and Consumer Protection for a delegation from the Chinese regulatory authorities. European Court of Justice upholds EU ban on the import of seal products, with the exception of products sold by Inuit populations. Thank you: Everyone who took to the streets for Lab Animal Week! Over 100 collectors raised almost £4,000. If you would like to take part next year, please call our supporter relations team 020 7630 3340. The primate labs at Harvard Medical School will “largely shut” by 2015. The university cites economics and a strategy change. Four primates reportedly died due to staff oversights between 2010 and 2012. One of 25 dolphins en route from the Philippines to Resorts World Sentosa’s, Singapore, died during the three hour flight. During 5 days at Los Angeles International Airport, authorities intercepted nearly a half-pound of elephant meat, a dead stuffed primate and almost 400 snake, lizard and crocodile skin handbags. "We will not allow dolphinariums" states India’s Environment and Forest Minister after call from ADI and 60 other organisations, and scientists. Thanks! Bill and Sue Lees for organising a fantastic fundraising event starring Jimmy Cricket, raising a whopping £2,168.40 for ADI! EU votes to close a major loop hole in the ban on shark finning which has allowed fishermen with permits to remove shark fins on board and land them separately from the bodies. Raffle winners: 1st Prize Miss Elstob, 2nd Prize Ms Davies, Runners up: Ms Reeves, Ms Campbell, Miss Smith, Ms Levy-So, Ms Stirling, Mr Reed, Mrs Brewer, Mrs Hughes, Mr Jewell, Mrs McNaughton, Mrs J Watters, Mrs Correa, Mrs Davis, Ms Wainwright, Mrs Door, Mrs Meusz, Mrs Harris, Ms Davies, Mrs Mackintosh. Our raffles are vital for our work to protect animals - please support them. Call us now on 020 7630 3340 to buy ADI raffle tickets. Scientists in the UK have grown skin from human cells which rapidly identifies drugs likely to cause problems or be ineffective in humans. The lead scientist says her model would have predicted the terrible consequence for volunteers in the trial of TGN1412, which caused organ failure in six men, but despite higher doses caused no such effects in monkeys. If you see a charity collecting money and they are not in the NAVS Good Charities Guide let us know! We will ask for their testing policy.